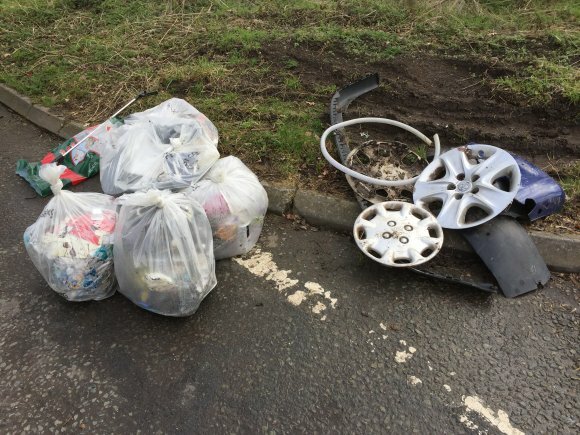 On the 16th March Marion and Anita took part in the 2018 Great British Litter Pick organised by Keep Britain Tidy. 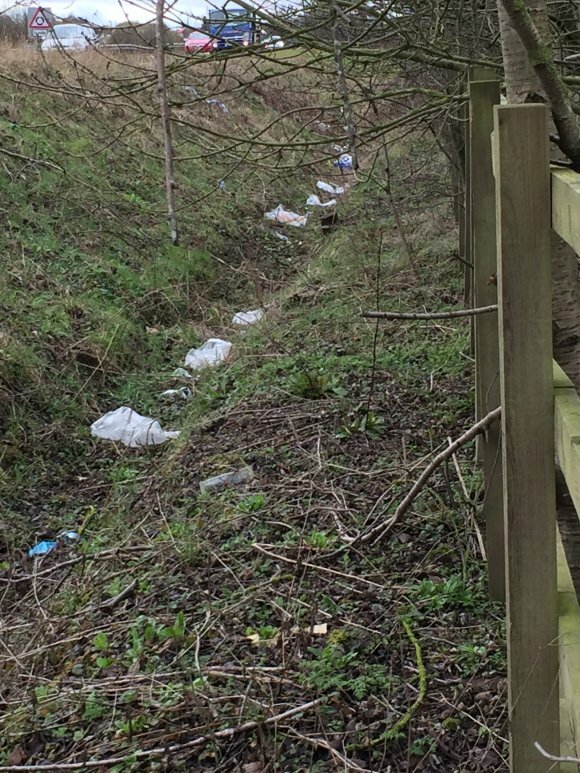 We decided this year to pick up the litter on the slip road from the by-pass towards Rothley as the approach to a village is very important. 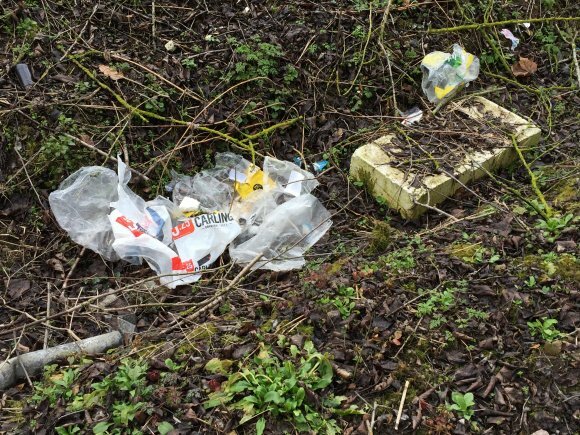 You should never be amazed at what you find but rubber gloves and a litter picker are essential items, plus a good supply of sacks. 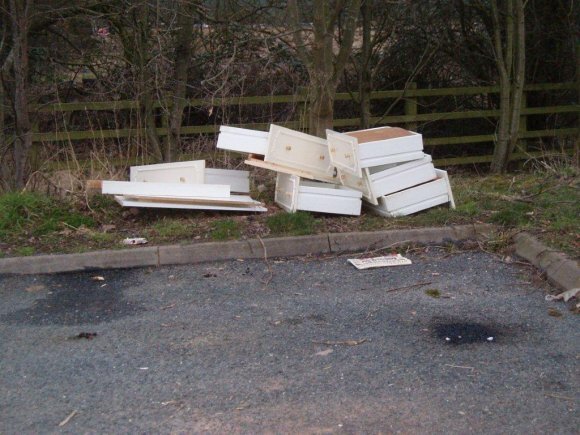 Where you get a pull-in/turning circle, especially on a slip road, then you are in for trouble when it comes to litter. 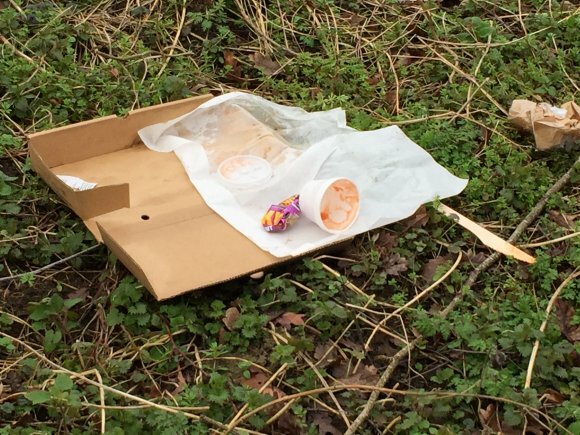 Just buy your ready meal, eat it in this pull-in, then throw the packaging out of your vehicle. No-one to see you. Don't feel like eating all your sandwiches? Just throw them out of the vehicle to join the other litter. Three wheel trims. All from different makes of vehicle. Must be a problem driving at speed towards Rothley and forcing your trim to fly off. Not to mention a few bits and pieces from a Fiat vehicle. (The oval name plate was the give-away). 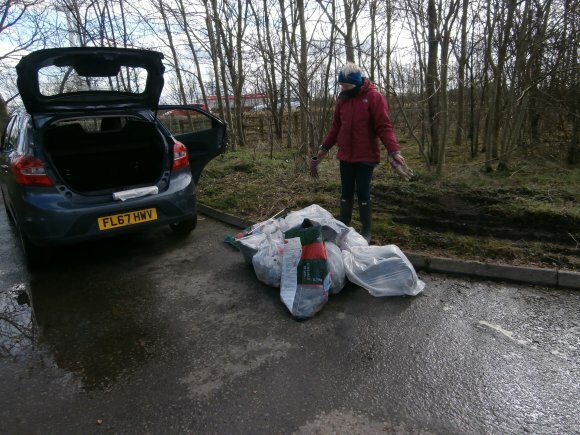 Anita with the sacks ready to be piled into the vehicle. This took a joint total of 3 hours and we only completed a small area of 'spinney', the pull-in and the ditch opposite. 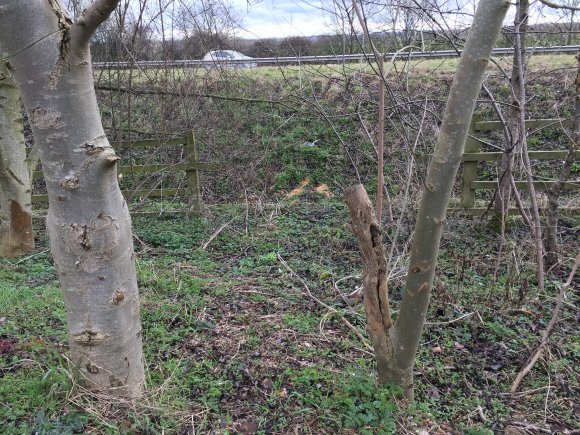 The sides of the A6 by-pass are the responsibility of Leicestershire County Council and we cannot touch them for reasons of safety. The other side of the pull-in is a fence and ditch with an embankment up to the road. The fence has been broken down so that access is available into the ditch. 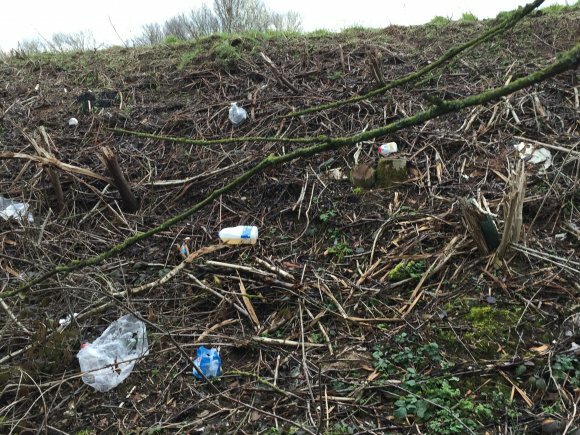 From the by-pass side it is easy to throw your rubbish down into the ditch.